This week, Log Lines is pleased to feature a post by guest blogger Rachel Penman, curator of the National Portrait Gallery’s exhibit 1812: A Nation Emerges. For more information on the exhibit and the Gallery, follow this link. In creating an exhibition to commemorate the bicentennial of the War of 1812 at the National Portrait Gallery, we approached the topic as a human-interest story, rather than a military history. One of our goals was to make these seemingly remote figures approachable to a modern audience, not with a lot of bells and whistles, but with a piercing gaze through the power of great art. In selecting portraits for “1812: A Nation Emerges,” we tried to get portraits made from life, as close to 1812-15 as we could, resulting in images as realistic as possible before the age of photography. The young officers appear quite dashing, the ladies of Dolley Madison’s court glamorous, and Henry Clay looks as if he could talk you into buying something you don’t really need. These were some of the smartest, most powerful and charismatic people of their time, part of that “splendid constellation,” as John C. Calhoun called it, who dared to defy the most powerful country in the world. Poor Isaac Hull! On August 19, 1812, the ship Constitution under Hull’s command was victorious over the Guerrière, buoying American spirits. “Old Ironsides” became legend and Hull along with it, at least until one met him in person. Three months after the Constitution’s victory, a guest reported meeting him at one of Dolley’s famous “squeezes” at the President’s House: “I must confess to being considerably disenchanted in my fancied hero’s appearance. 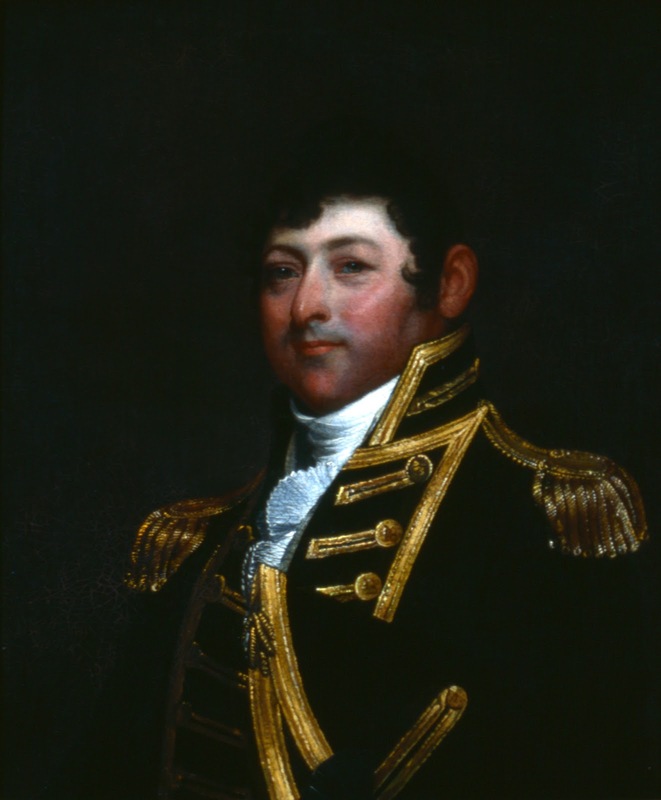 A little sturdy, fat-looking fellow, with a pair of good black eyes, but not ‘like Mars to threaten and command.’ I should never have suspected the gallant Captain Hull and the jolly little man to be one and the same person.” Yet looks weren’t everything. Only a month after this encounter the “gallant Captain Hull” married one of the most eligible women in New England, Ann Hart. Seventeen years his junior, Ann was a renowned Connecticut beauty of whom it was said “it would be difficult to meet with a lovelier face or figure.” She had known Hull before his victory although she had not been as interested then. Since “1812: A Nation Emerges” opened in June 2012, I have had the privilege of giving numerous tours, and it is always interesting to hear how visitors react to the portraits. Many comment on how young they all look, as if surprised these figures from the past are not perpetually old or that they could accomplish so much so young. Henry Clay, John C. Calhoun, Winfield Scott, Andrew Jackson, and Dolley Madison are just some of the many figures in the exhibition whose lives overlapped into the age of photography, and it is interesting to see which medium prevails in the popular imagination. 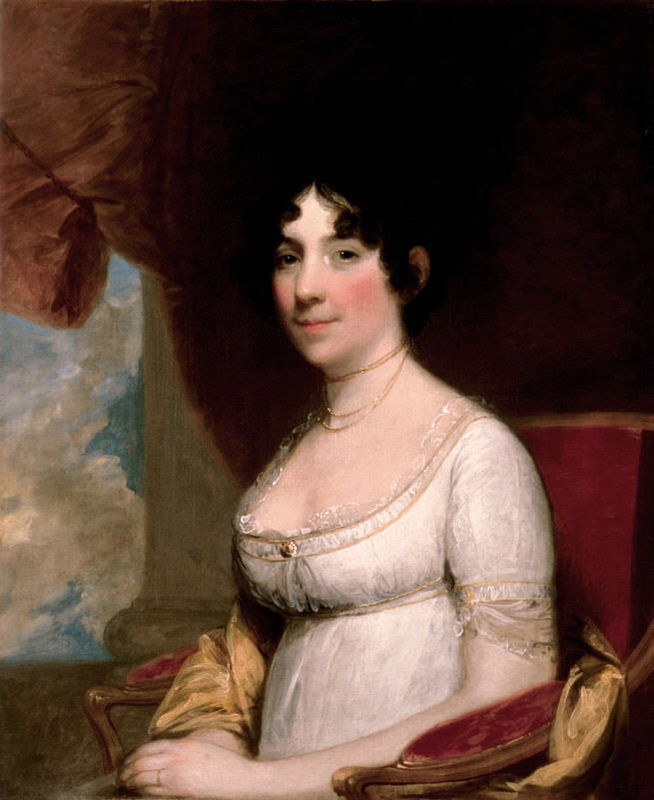 Dolley is largely remembered as she looked at thirty-six in Gilbert Stuart’s painting, while John C. Calhoun tends to be remembered as he looked in an 1849 Mathew Brady daguerreotype, a not-so-flattering result. No matter how great the likenesses, painted portraits have a magic to them, that when done well can capture something of the essence of a person’s character, uninhibited by the exact realities of the literal. This is what “1812: A Nation Emerges” was about, seeing these people both as they were and how they are remembered. Another visitor once commented on how normal they all looked, not like they would be commanding ships or fighting duels, which I found to be a wonderful sentiment; that beyond the great deeds we can be reminded of what the “normal” can accomplish.